Go-Label is owned and operated by Weber Packaging Solutions, Inc.
Weber Packaging Solutions, Inc. is an experienced innovator in the design, manufacture, and supply of high-performance labels, labeling systems and continuous ink jet systems. Located in the northwestern Chicago suburb of Arlington Heights, IL, Weber manufactures high-quality labels, label applicators and label printer-applicators for the packaging industry. Since 1932, our sole focus has been the development and improvement of labeling solutions. It has enabled us to thoroughly understand the needs of our customers. Our Success comes from helping our customers grow. Our Commitment is to bring technologies to market that improve packaging automation, product identification and brand recognition. Our Team is agile, creative, responsive and conscientious toward our customers, our community and our environment. Weber manufactures a broad line of high-quality labels and tags at our 320,000-square-foot world headquarters in Arlington Heights, Illinois. With over forty flexographic and HP Indigo digital label presses under one roof, we are able to select the most productive printing technology for a particular order. These high-speed presses print labels in up to ten colors, including high-resolution four-color process. Weber also offers over one hundred combinations of paper and film label stocks partnered with numerous adhesives to create labels that can be perfectly matched to a specific application. 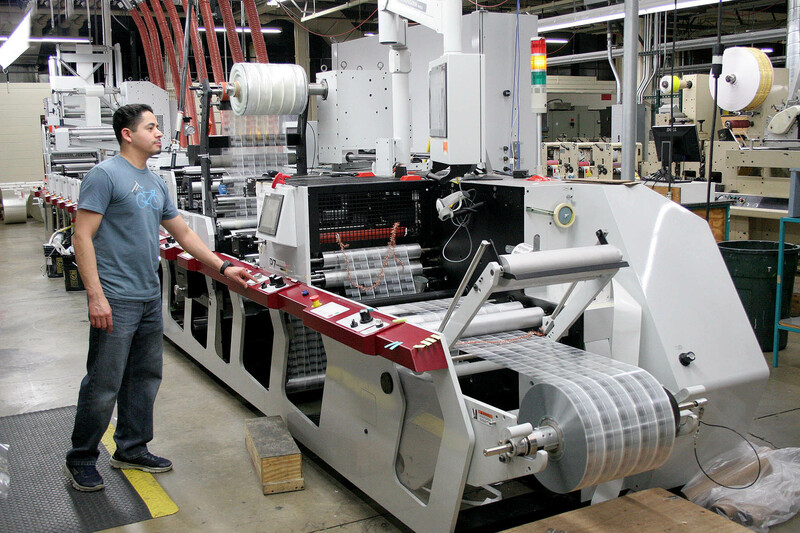 Weber also designs, engineers, and fabricates a line of automatic label applicators and label printer-applicators. These units feature high-speed, precise label placement along with unsurpassed print quality. To better meet the individual needs of our customers, each model is made to customer specifications, with a choice of application methods like tamp-blow and wipe-on labeling. Finally, Weber carries a complete line of BestCode continuous ink jet coding systems for date coding and other variable information. The high-speed BestCode CIJ systems have the ability to print on virtually any surface, from glass to plastic, cardboard, cement, paper and more. For additional information on our products, visit our web site at www.weberpackaging.com, or phone us at 1.800.843.4242.